China launched the Shijian-9 satellite in 2012 to test the functions of two experimental electric thrusters. An electric thruster, creating a thrust as gentle as a breath blowing out a candle, could send a spacecraft to Mars, so long as it keeps "blowing" and accelerating the craft over time. Electric propulsion is regarded as one of the top cutting-edge space technologies as it could make humans go into deep space at a lower cost than other forms of propulsion. The few countries mastering the technology have kept it confidential. Relying on its own efforts, China has developed the state-of-the-art technology, following the United States, Russia, Europe and Japan, and hopes to enter the international electric propulsion communication satellite market. China plans to send its first full electric propulsion satellite into orbit around 2020, providing broadband communication data transmission to China and neighboring regions, according to Wang Min, deputy chief designer of the communication satellite, at the China Academy of Space Technology (CAST). 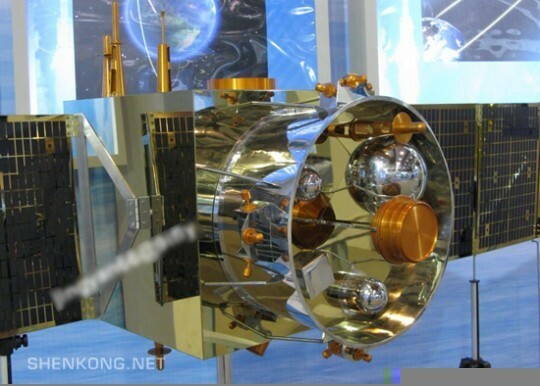 China also plans to launch a hybrid propulsion communication satellite at the end of 2016. The electric propulsion system would be used in China's space station in the future, Wang says. Electric propulsion systems are mainly of the ion thruster or Hall thruster types. They are essentially similar, using electricity to ionize the propellant, usually xenon, and accelerating the ions to produce thrust. The biggest advantage of electric propulsion is that it uses a tenth of the amount of propellant required by traditional chemical propulsion systems. A typical 5-tonne chemical propulsion communication satellite contains three tonnes of fuel. With an electric propulsion system, it would only need 300 kg of propellant, Wang says. "The benefit is obvious. The weight of the satellite can be greatly decreased, so a rocket can send two satellites into orbit at the same time; or we can launch a cheap, small rocket to carry the satellite, which will greatly save on launch costs. We can also put more equipment on the satellite to improve its functions," Wang says. With electric propulsion, a satellite's life would no longer be restricted by the amount of fuel it carried. The designed lifespan of a communication satellite would extend from the current 15 years to 20 years, says Wang. However, the main drawback of electric propulsion is that its thrust is still low, so it cannot be used on carrier rockets and spacecraft that need to quickly enter orbit. The application of electric propulsion could greatly improve the communication satellite's competitiveness in the commercial market, because communication satellites always need thrust to keep their positions on orbit. In addition, the advantage of saving propellant could help interstellar probes travel farther in space. So far, five deep space probes, propelled by electric thrusters, have explored the moon, asteroids and a comet. Japan's "Hayabusa" was the first to bring samples from an asteroid back to earth and U.S. spacecraft "Dawn" was the first to probe two asteroids in one mission. "Electric propulsion technology will play an important role especially in manned deep space exploration," says Wang. It's estimated that a manned Mars spacecraft, including landing and return systems, could weigh about 1,500 tonnes if using chemical propulsion. Since the most powerful carrier rocket at present can only carry around 100 tonnes of load to near-earth orbit, the spacecraft would need to be assembled in orbit at great cost. With electric propulsion, the weight of the spacecraft could be reduced to 300 tonnes, experts say. Currently, China's electric thrusters generate up to 5 kilowatts. CAST plans to develop a 50-kilowatt electric thruster by 2020. An array of 40 electric thrusters of 50 kilowatts could send a 300-tonne spacecraft to Mars in 200 days, experts say.